The 3rd week of 2019 got off to a good start with news of HighSkyTech releasing the long-awaited weather plugin xAmbience. HST’s 2nd payware addon was slated to release on November 28, however, due to issues in pre-release testing, it was delayed until the end of December and then to early January. With beta testing of the E1000 by Aerobask in progress,three new previews of their E1000 with the Garmin G1000 were shared this week. The flight model has been tested by a real-world E1000 pilot, and they promise to bring a high-quality aircraft to their users. 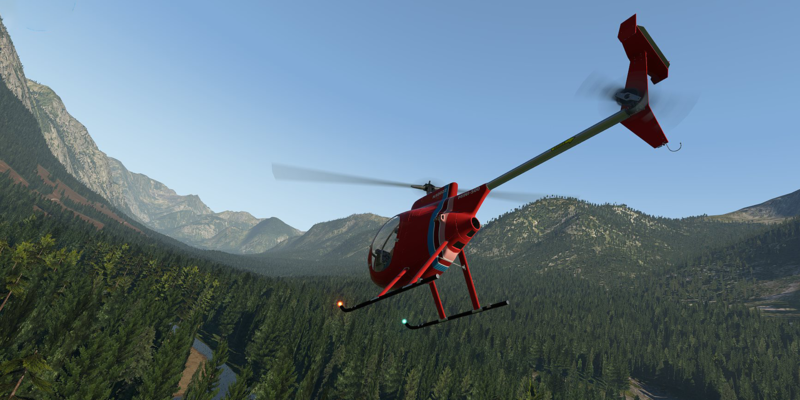 Experimental aircraft specialists VSkyLabs have provided further information on their upcoming Revolution Mini-500 helicopter for Laminar's sim. Perhaps the most unique aspect about VSL's latest project is that the single-seater helicopter was only available as a kit-set, with the owner required to assemble the chopper before it's first use. Orbx's final TrueEarth Great Britain region, that being the North, has moved into beta stages. This information was shared via post by John Venema on the Orbx preview forum. Check out the full article for more details. Windsock Simulations previewed another of their conversion projects this week. In partnership with David Rosenfield FSX, they plan to convert his popular Milan Malpensa scenery to Laminar’s sim. See more here. 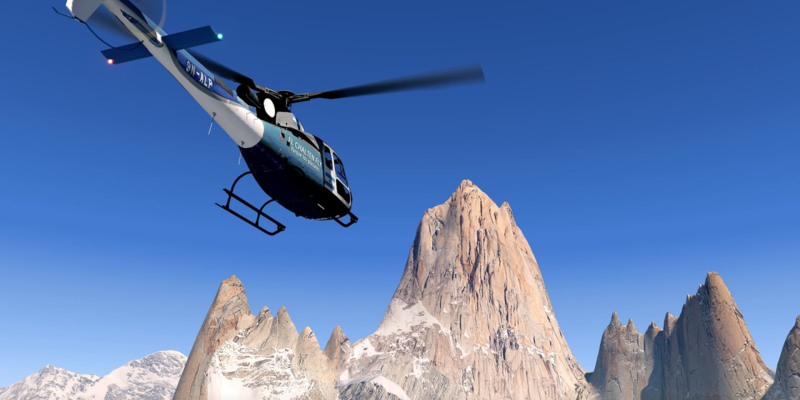 The dynamic duo of Frank Dainese and Fabio Bellini are working hard on their next X-Plane scenery, based around the peaks of Cerro Torre and Fitz Roy. The completely new X-Plane version traces inspiration from Frank's freeware version for FSX and Prepar3D, which is now 4 years old. New previews surfaced this week via Frank’s blog, which you can see here. HiFi Simulation Technologies this week released further information about the first major update to their X-Plane weather engine. Active Sky XP was released back in December and has since received a few small patches to fix immediate bugs with the software, however, is yet to receive any major updates. The plan for the update is to reduce the number of cloud re-draws, one of the largest criticisms of the product. Developers of the Aerostar 601P for X-Plane, Avia71, have released a major update to the aircraft. The update includes full X-Plane 11.30 and VR compatibility, as well as new icing and de-icing systems. To see the full changelog, see our previous article on them. 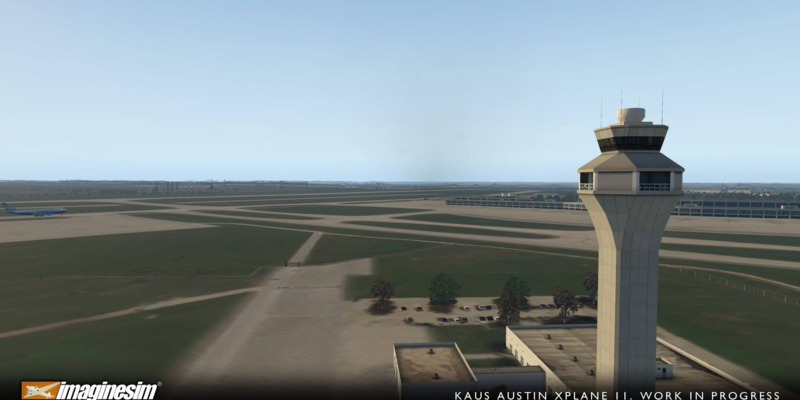 Imaginesim, a popular ESP-platform developer, announced and previewed their first X-Plane scenery last week with news of their Austin Bergstrom Airport scenery coming soon to Laminar’s sim. 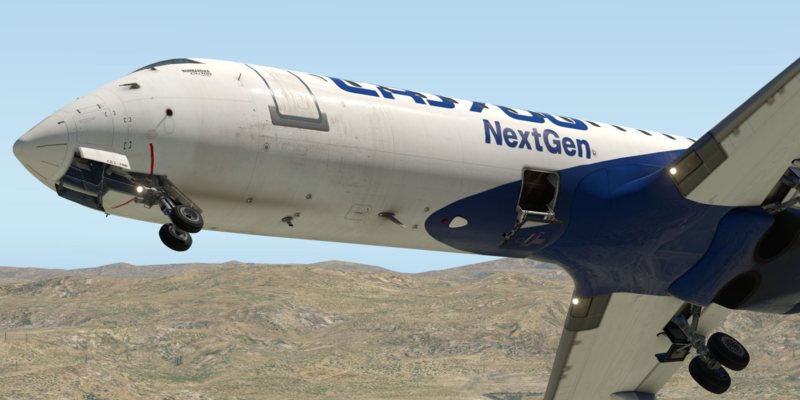 Their first X-Plane project is a conversion of their existing rendition for Prepar3D and FSX. X-Plane old timers FlyJSim have shown off more progress on their recently announced Q4XP. The Q4XP is the successor the Q400 V2, however is being built from the ground up, with new modelling being one of the major benefactors of this. In a post on theFlyJSim Pilots Facebook group,FlyJSim PR Manager Dellanie Byron released a video of the Q4XP's wingflex in action. See more in our full article here. Moving into the weekend, Orbx debuted their latest scenery conversion based aroundFairoaks Airport (EGTF). The airport is nearby the hub of Formula 1 team McLaren, who’s base is included in the scenery. See the new previews here. Developer Andrzej Borysewicz has uploaded a pair of preview videos of Super-Critical Simulations' next aircraft, the CRJ-700 for X-Plane. The project was initially announced in 2015 and is now closing in on release. See the new preview videos here. ShortFinal Design developer MisterX6 released new previews of their upcoming Munich (EDDM) scenery today, along with a sneak preview of their next project. Early speculation appears to point towards SFD’s new project not being based around an airport, but rather a region, perhaps like the recently released JapanPro. As always, you can give us some feedback on ourFacebook page, or via the contact form here.